New earthquake modeling is shaking up the risk associated with owning or lending on tall, more than 20-story, buildings in Los Angeles County and seismically-active regions across the country. In Connect Media’s latest installment of 3 CRE Q&A, Lance Kenyon of MHP Structural Engineers, an expert in new design, seismic evaluations and seismic retrofits, provides insights into the vulnerability of tall buildings, and potential implications to owners, operators and lenders working with this asset class. Q: Why are 20+ story buildings more vulnerable than previously projected? A: Over the past five-plus years, seismologists have revisited ground motion models to more accurately account for local conditions, including sites with deep soil layers, rather than averaging ground conditions from many seismically active regions. The new models show that ground motions affecting tall buildings are now significantly higher in some areas where large basins can amplify and trap seismic waves. Q: Which regions are anticipated to be most affected by the change in ground motion modeling? Are there any tall building types that are especially vulnerable in these regions? A: Many parts of Los Angeles County, San Jose, Seattle and Salt Lake City will be affected by the new models, as well as other regions with deep soil layers and geologic features that intensify ground motion. Buildings with welded steel moment-resisting frame connections constructed from around 1960 to 1994 pose concern. 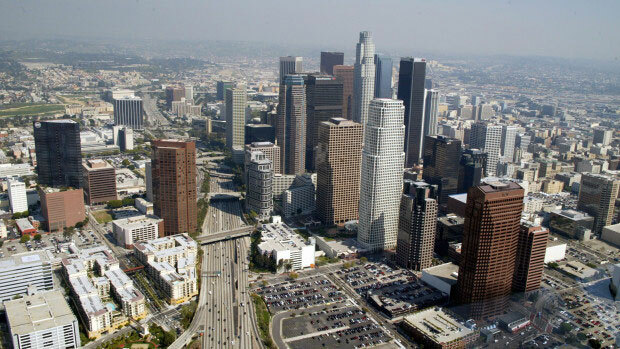 Engineers have known about the vulnerability of these connections since 1994, when shaking from the Northridge earthquake in Los Angeles fractured welded joints in more than 60 buildings. The building code was rewritten soon after the Northridge quake, so buildings constructed since 1994 do not pose this risk. In the news, you may have heard that up to 20% to 50% of tall welded moment frame buildings could potentially collapse in a major earthquake. Two key items in this statement are the words “up to” and the words “major earthquake”. While engineers agree these connections will not perform as originally anticipated, there is not a consensus on the percentage of buildings that would collapse in a major earthquake. Additionally, a “major earthquake” is a rare event that occurs very infrequently. While the 1994 Northridge earthquake and the 1989 Loma Prieta earthquake caused significant damage, neither would be considered “major” events, nor did they lead to welded steel moment frame building collapse. Still, the risk to buildings with these welded connections is greater than desired, and some percentage of these buildings could potentially collapse in a much larger earthquake event. Q: How are new developments in ground motion modeling affecting city code requirements? What should building owners, investors and lenders do to reduce their risk in the meantime? A: Building codes are constantly updated to reflect lessons learned from past earthquakes and associated research. While existing buildings are generally grandfathered in by code, over the past few years, California cities including Los Angeles, Santa Monica and San Francisco have passed mandatory ordinances requiring seismic evaluation and retrofit of building types with known risk factors. While only a handful of cities have existing retrofit ordinances, many more are considering enacting similar ordinances in the coming years. So far, there has been no focus on taller buildings. However, the updated ground motion models indicate that taller buildings have more risk than previously thought. As this latest seismologic research is corroborated and accepted, design procedures for new tall buildings will change, and ordinances affecting existing tall buildings could be enacted in the future. It is critical that building owners, investors and lenders understand the changing seismic risk arena, and the specific traits of the buildings in their portfolio to make informed decisions. Knowing which building types and which individual buildings are vulnerable to damage, and/or may be affected by a current or future ordinance, can guide investment decisions. Reputable engineers with expertise in evaluating and retrofitting complex buildings, such as steel welded moment-resisting frames and non-ductile concrete, are the best source for advisement. Click here for the link to the Connect Media article.